Here's how messed up my brain is - I love dabbing wash over a rivet to make it pop out. (not joking) there's something zen about going around a tank and accentuating all the details (especially the rivets). 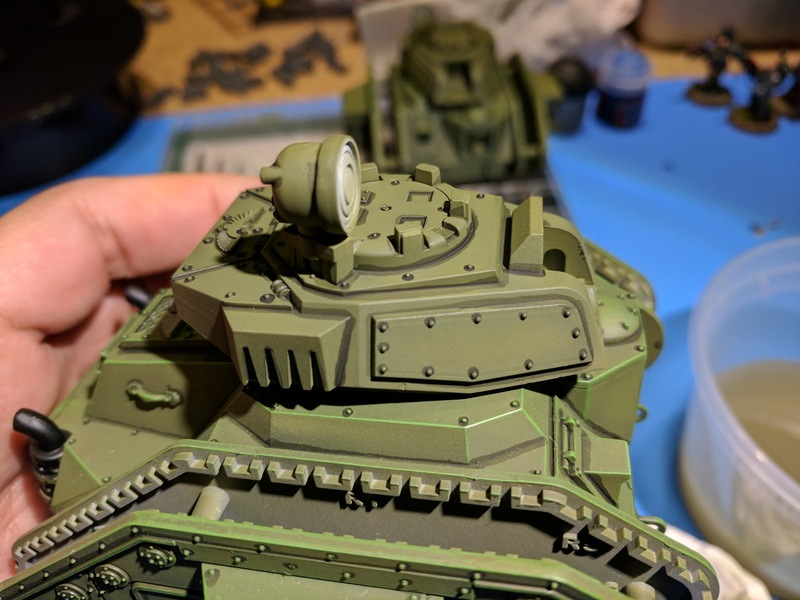 Decided to add a camo pattern to these tanks, and I think it works. 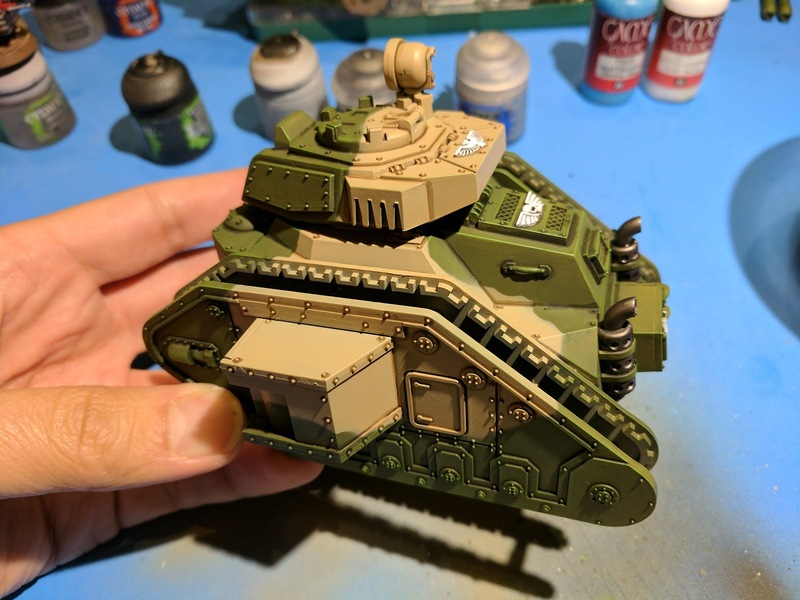 Didn't make it tiger striped, like the command squad's chimera, so that they would stand apart. 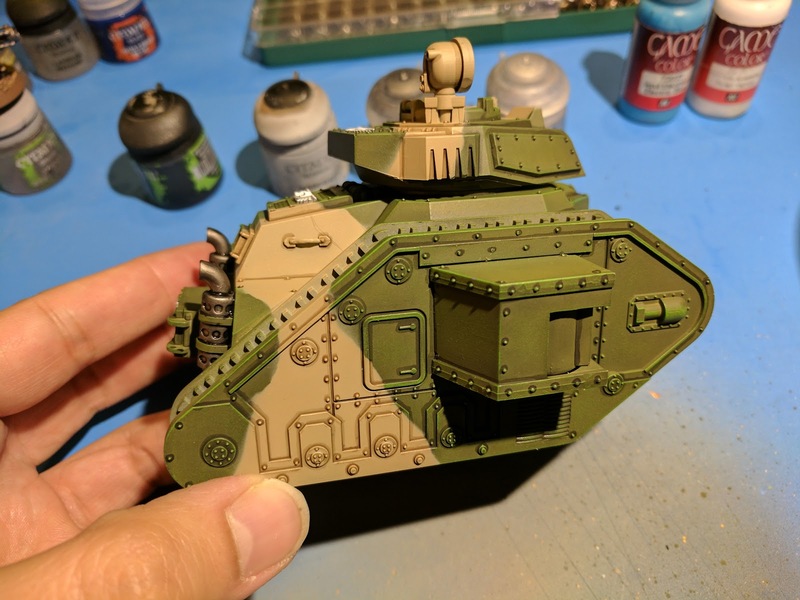 I've got to apply the treads, and the decals and weathering, but we're almost done. I'm jealous man. That looks like fun.